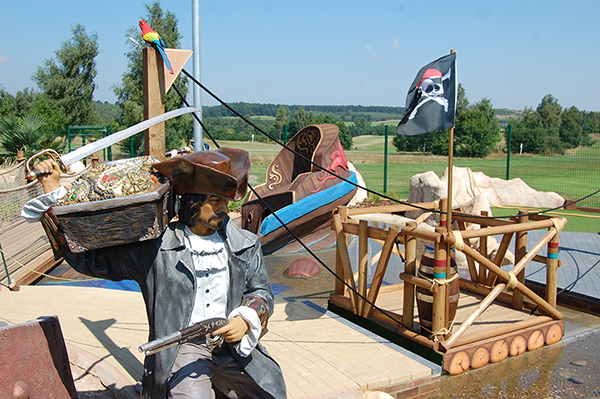 HM Adventure Golf are pleased to announce the completion of another Adventure Golf Course for Adventure Leisure Limited at Ramsdale Park Golf Centre near Nottingham. 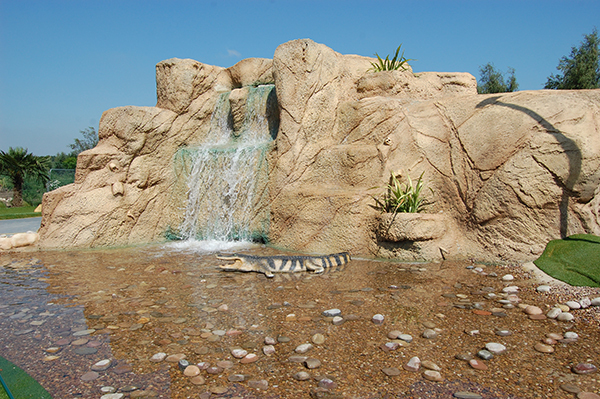 The uniquely themed 18 Hole Pirate Adventure Golf course features a Pirate Ship Wreck, Giant Snake, Barrel Feature Hole and double sided treasure waterfall guarded by a snapping Croc! The site opened for business on 19th July on time and on budget and is already getting return visits by players within a week of opening and enjoying a lot of interest by the general public and Golf Club members alike.